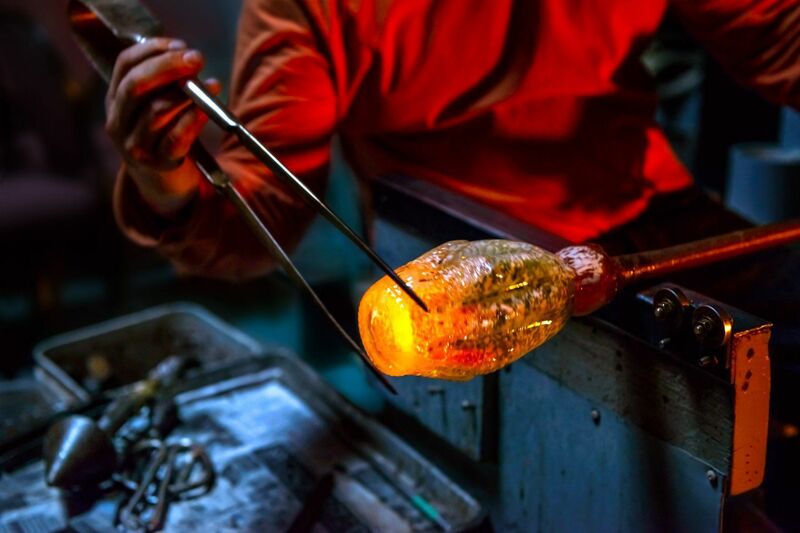 I have been working with hot glass for over 40 years. My Education includes a BFA from the Cleveland School of Art, Cleveland Ohio. I have also studied extensively at the Penland School of Craft, Penland North Carolina. Working with Master Glassblowers, learning their different techniques and styles, and incorporating that knowledge into my own glass artwork. I am best known for my vast experience with different techniques and styles that I showcase in my different series. 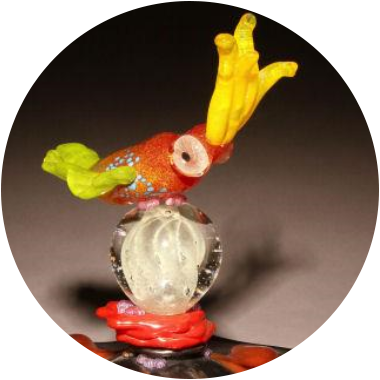 Technical skills ranging from optical forms to fused piece work. My extensive use of techniques in hot glass come from my studies in college as an illustrator. I like to think of each piece as an illustration in itself. One way of controlling my images is to pre-fuse the decoration and incorporate that image in the piece.